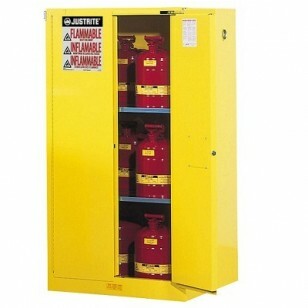 Industry leading Sure-Grip EX Safety Cabinets provide safe, durable storage for flammable liquids. 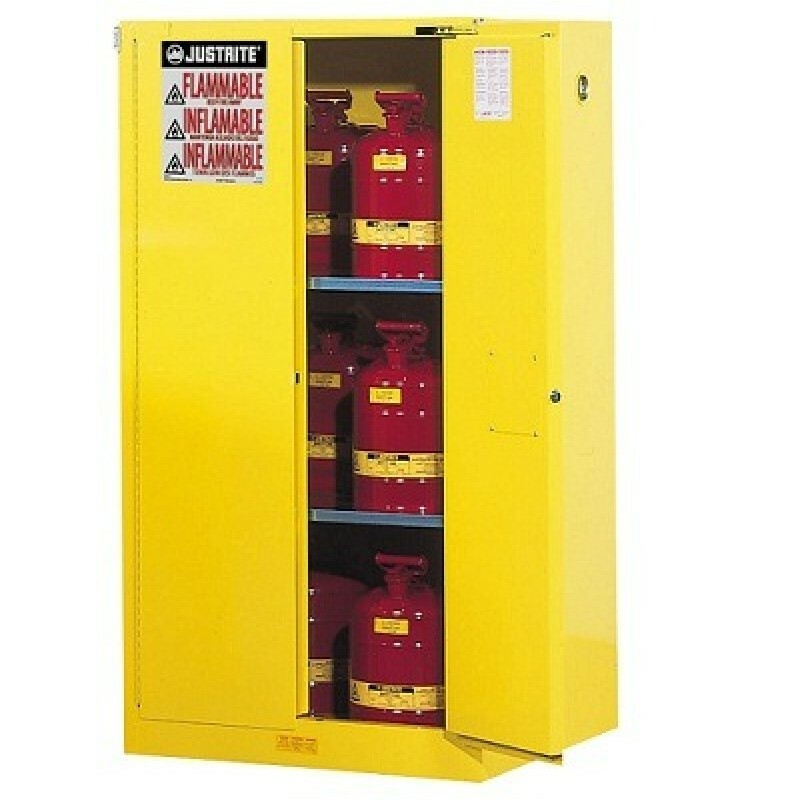 Designed to meet OSHA and NFPA requirements, these cabinets are constructed of sturdy, all-welded 18 gauge, double walled steel. A 1.5" gap of insulating air space increases fire resistance. The patent-pending U-Lock Handle features a recessed, slip-resistant locking handle that comes with 2 keys, and the option to attach a separate padlock for extra security. HazAlert reflective labeling (patent pending) means labels are visible even in low-light situations such as power outages. SpillSlope Safety Shelves are angled slightly down and to the back of the cabinet, keeping spills away from the doors. All models are fully compliant to OSHA and NFPA standards. Available in manual and self-closing styles.